Heavy metal isn't just a music genre, it is now a choice of sunglasses! 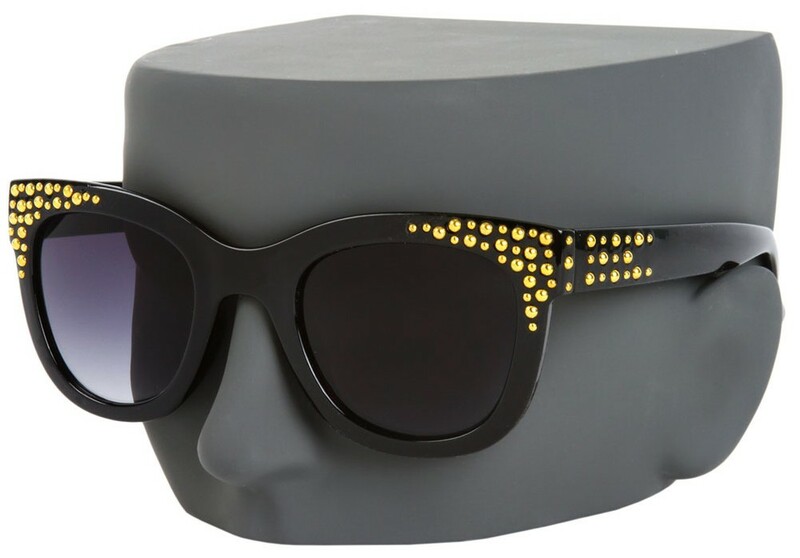 These stylishly studded shades will help you keep your cool when the weather gets hot. The thick frame has gold studs on the front and temples, along with gradient tinted lenses.